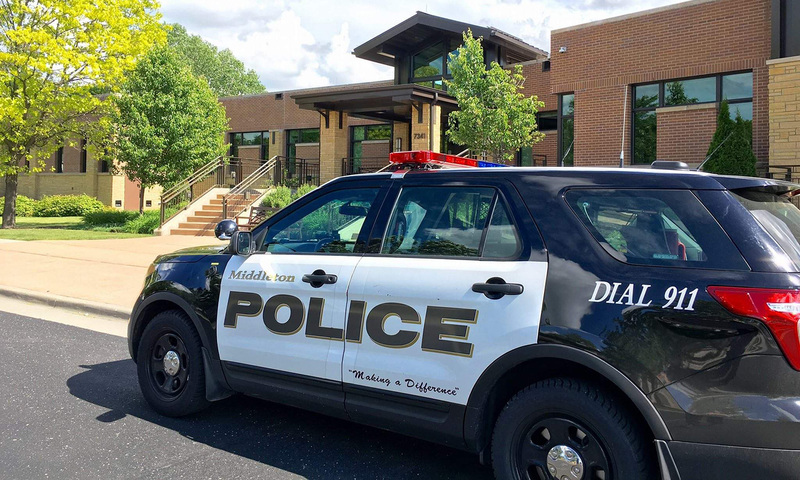 A false report of a hostage situation in Middleton involving two boys drew a large police presence to an apartment complex Saturday night, the Middleton Police Department said. The 911 Center received a call at about 8:45 p.m. from a person who told the dispatcher he was being held hostage in the basement of an apartment by a suspect armed with a gun before the caller hung up, police said. Police officers and Dane County sheriff’s deputies responded to the complex in the 6300 block of Pheasant Lane and started to do a systematic check of the property, including the basements, police said. “Officers found no indicators of a problem, and residents saw nothing out of the ordinary,” Sgt. Travis Kakuske said. What officers did see, though, was two boys who have had previous contact with law enforcement leaving the area, Kakuske said. When it was evident there was not a hostage situation, police contacted the two boys, ages 12 and 13, at their homes, he said. Both admitted to being involved in placing the fake hostage call, with one boy saying it was made as a prank, according to Kakuske. Charges are expected to be sought against one of the boys who was primarily involved in placing the call, he said. Police say the call is another instance of “swatting,” in which false crimes are reported to law enforcement to deliberately draw a large police presence to a certain area. Last month, the UW-Madison Police Department said an incident of swatting led to police officers responding to the university’s School of Veterinary Medicine, while a hoax 911 call led the Dodge County Sheriff’s SWAT team to surround a house in March for a falsely reported shooting and hostage situation that resulted in Highway 151 being shut down for an hour. A Grant County teenager said he was bored when he put in a swatting call about a fake armed home invasion in February. Swatting took on national attention in December when a Los Angeles resident called police in Wichita, Kansas, and reported a shooting and hostage situation because of a dispute between two online video game players. Law enforcement surrounded the address given by the caller, and when a man unrelated to the online dispute went outside to see what was happening, he was fatally shot by police. The man who made the call, 26-year-old Tyler R. Barriss, pleaded guilty last week to 51 federal charges related to the Kansas incident and other swatting calls across the country that could send him to prison for between 20 and 25 years, The Associated Press reported. Kakuske said Saturday’s fake hostage situation in Middleton initially involved 12 police officers and deputies. The incident alarmed neighbors and “was a significant drain on police resources for over two hours until the situation was confirmed false,” he said.